Despite the excellent efficacy of direct-acting antivirals (DAA) for hepatitis C virus (HCV), treatment failures do occur. Until recently, retreatment decisions after DAA failure were influenced by the number of available agents, concerns about HCV drug resistance, and lack of data regarding retreatment. Recommended treatment approaches previously depended on limited clinical trials and expert opinion. In this article, we review the current state of the evidence for HCV retreatment after DAA failure. Based on recent clinical trial data, most patients who fail HCV treatment with DAA agents now have excellent retreatment options. While some patients may benefit from resistance testing after DAA therapy failure to select the optimal treatment and duration, newly approved salvage therapies are not significantly impacted by common mutations and have been approved by the Food and Drug Administration for HCV retreatment without regard for the presence of resistance-associated substitutions. While prior retreatment efforts were limited to longer courses of therapy, the addition of ribavirin, or novel combinations of approved therapies based on expert guidance, current DAA options make HCV retreatment in the DAA era more streamlined and evidence-based. Dr. Chastain reports research funding from Gilead Sciences, Inc. Dr. Naggie reports research funding from Gilead Sciences, Merck, Bristol-Myers Squibb, AbbVie, Janssen, and Tacere Therapeutics, Inc. This work was supported by the National Institutes of Health (NIH) (1R01DK112295-01 to S. N.). This article does not contain any studies with human or animal subjects performed by any of the authors. Dr. Naggie co-chairs the current HCV Guidance Panel AASLD/IDSA committee responsible for HCV guideline recommendations. •• AASLD-IDSA. Retreatment of persons in whom prior therapy has failed. Recommendations for testing, managing, and treating hepatitis C. http://www.hcvguidelines.org. Accessed September 4, 2017. This guidance provides regular updates for the latest in recommendations regarding retreatment of HCV. Forns X, Lee SS, Valdes J, Lens S, Ghalib R, Aguilar H et al. Glecaprevir plus pibrentasvir for chronic hepatitis C virus genotype 1, 2, 4, 5, or 6 infection in adults with compensated cirrhosis (EXPEDITION-1): a single-arm, open-label, multicentre phase 3 trial. Lancet Infect Dis 2017. [Epub ahead of print] https://doi.org/10.1016/S1473-3099(17)30496-6. AASLD-IDSA. 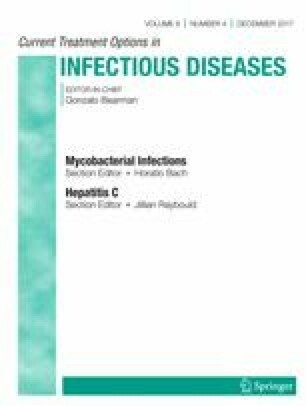 Management of unique populations with HCV infection. Recommendations for testing, managing, and treating hepatitis C. http://www.hcvguidelines.org. Accessed September 4, 2017.